The summer’s getting hot and steamy, but that’s not deterring the action from being watered-down in reactive events that occurred in the Berkshires last weekend. A convergence of crapshooters were seen throwing the dice in an underground sewage cult, while several close-knit Cubans were pushing and pulling one another for the sake of romance. Investigating further, it turned out to be two worthy presentations of Guys and Dolls at Barrington Stage and the U.S. debut of Cuba’s DanzAbierta at the Jacob’s Pillow Dance Festival. Barrington Stage usually kicks off their summer slate with a known staple in the musical theater canon. In recent years, such classics like Carousel and West Side Story were given the Berkshires treatment. They did no wrong this year with the crowd-pleasing revival of Guys and Dolls. For this production of Damon Runyan’s tales of love set amidst a colorful backdrop of gamblers, the characters populating a bygone era of New York City were cool as cool-can-be and itchy with the thrill for scoring a win. As rendered capably by director John Rando, this was a respectful and traditionalist version. Traditionalist as in hewing close to the source material and not adding any more depth with character subtext or development. Not necessarily a bad thing, but for a musical as familiar as Guys and Dolls, it would be welcome for Rando to inject a fresh dose of freshness here and there. With a professional ensemble led by Michael Thomas Holmes as Nathan Detroit, Matthew Risch as Sky Masterson, Morgan James as Sarah Brown and Leslie Kritzer as Adelaide, the show was rightfully comedic and entertaining. Judging by the response, the audience was clearly enjoying it and glad to have it a step above community summer stock. 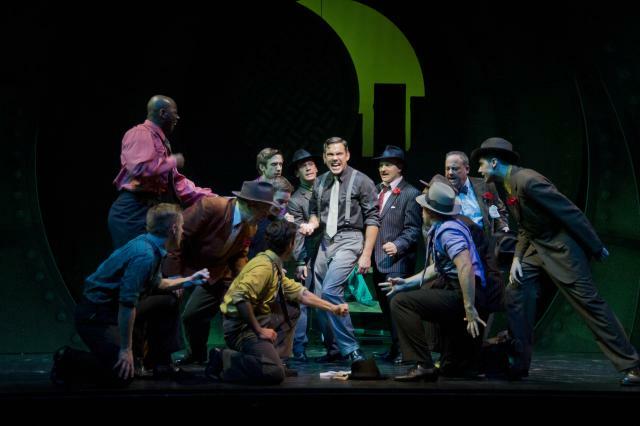 The dapper costume design by Alejo Vietti and the nifty choreography by Joshua Bergasse were what made these Guys and Dolls shine and lift the show into vintage classiness. Over at the Jacob’s Pillow, a five-member dance troupe established a strong inaugural presence in the U.S dance scene here. Hailing from Cuba, DanzAbierta proved the notion that not only great food and exotic cigars can be cultural exports, but viably modern choreography as well. 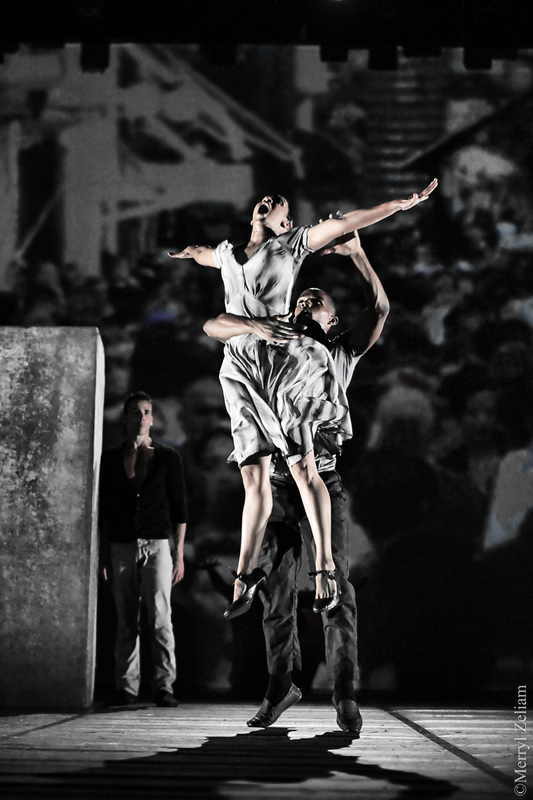 Dancing in a stone-solid program entitled MalSon, the group expertly moved throughout the nonstop hourlong work in what choreographer Susanna Pous calls “a love letter to Havana”. It also proved the immense talent of what these dancers are capable of, while showcasing their Cuban origins and sense of heritage. Melding time-coordinated video projections and purely kinetic movements, the troupe of DanzAbierta was in constant physical motion–pushing and pulling, jumping, falling and climbing over another. You’d start to wonder if there was a theme that Pous was trying to convey. But it’s all about fearlessness coming into play, with the idea that dance is an expressive medium filled with trust and risk. Accompanied to an eclectic and percussive urban soundtrack, these intrepid dancers absolutely satisfied in an unsettling and twitchy debut. They better get more dance shoes eventually because I have an idea that DanzAbierta will log more miles across North America.